My Chic & Crafty Lil' Heart! ♥: You Are... My Cup of Tea! 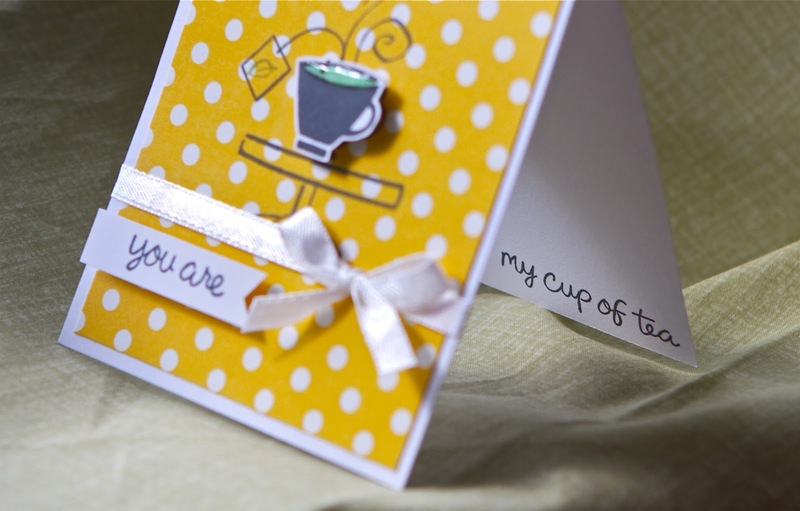 You Are... My Cup of Tea! Here's Part 2 of those mini cards I made for my friend, Eva the other day. To see the first one click here. 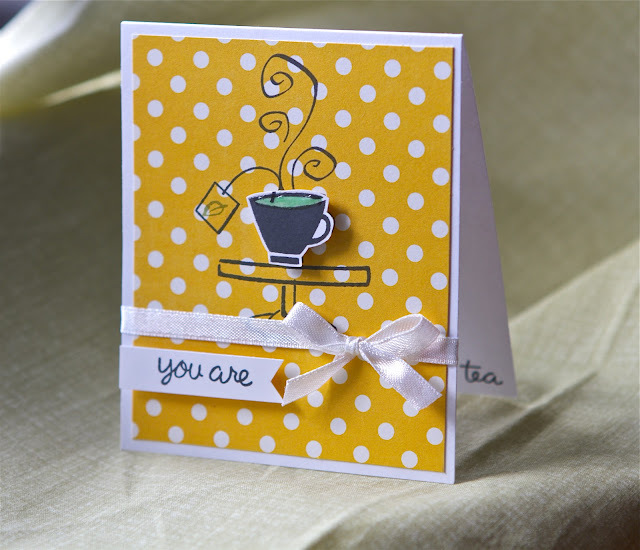 This card was very simple to make and I love the CAS, yet cheerful look and feel of it--reminds me of Kelly Marie... (: I used Lawn Fawn's "My Cup of Tea" stamp set, as well as Memento "Tuxedo Black" ink. The pattern paper is from Echo Park and the card stock is from Gina K Designs--outstanding quality of paper! The white ribbon was from an old dress I got rid of and cut the ribbons off before trashing it... (: The only thing I'm not too fond of is the choice of green I used to color in the tea. Other than that, I LOVE this card!!! ♡ Hope you do, too!